There are no piers or jetties along Zuma beach in Malibu. What hazards do piers and jetties present? These structures present significant hazards to beach goers because they extend from the beach into the surf zone, affecting the waves, currents, ocean bottom, and by allowing people to get into situations where they can be swept off or into the structure by strong ocean conditions. How do I avoid being injured by a pier or jetty? 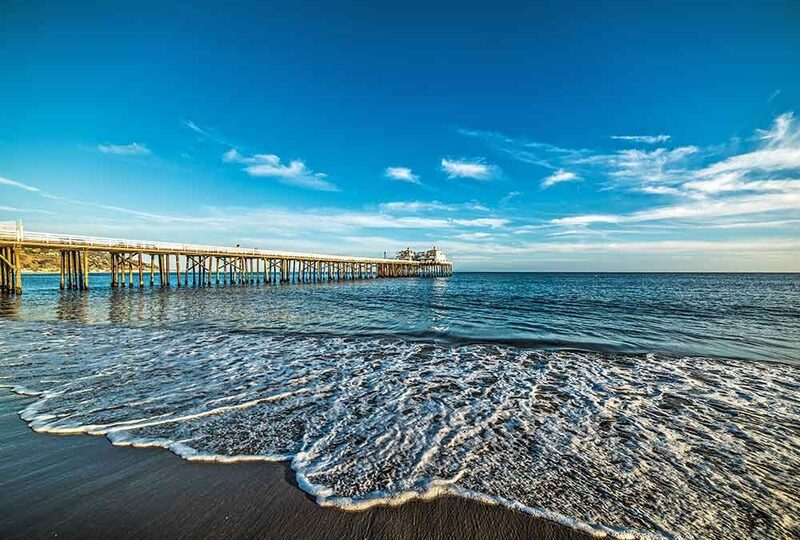 Always keep a distance of at least 500 feet when swimming, wading, or surfing in the proximity of a pier or jetty. You should keep track of where you enter the water and not allow yourself to be swept down the beach. Pick a landmark on the beach or in the background and stay in front of it. Staying close to shore where you can firmly stand on the bottom will make it easier to stay in one place. If you are unable to resist against the current, exit the water and walk back to where you entered before you get into a situation you cannot correct.